BEFORE FOLLOWING THIS METHOD, PLEASE COMPLETELY READ IT ONCE! • Backup your game's sd data (those .obb) files before following this guide. • I am not responsible for any damage caused to your phone/data by following this guide. • If you love the stuff shared in this blog pleasellike and subscribe us on Facebook and Youtube ! Before proceeding, You have to extract those two ".obb" files. Because "gta3.img" and other ".img" files for Android GTA SA are inside those two ".obb" files. Now you will be thinking how to extract those two ".obb" files? No its not that hard as you think. Its easy. • and change extension of both ".obb" files to ".zip". You can do this by simply writing ".zip" at last of their names. You can do this like this, the name of first ".obb" file is "main.8.com.rockstargames.gtasa.obb". What you have to do is touch and hold it (if you are using ES File Explorer), then click Rename button and change its name to "main.8.com.rockstargames.gtasa.obb.zip" (just write .zip at end of its name) and it will be converted to a zip file. Which can be opened by ES File Explorer easily. • Do the same for second ".obb" file and you are done. Now proceed to next step. • After doing the above step those two ".obb" files will be converted to ".zip" files. • Now Open them one by one. And search for ".img" file you need. In most cases we need "gta3.img file. You can find it by opening "patch.8.com.rockstargames.gtasa.obb.zip" file and going to "texdb" folder. • After going to this folder extract "gta3.img" file by touching and holding it and selecting extract button. Extract it anywhere in you sd card (or internal memory) but make sure you have atleast-atleast 500MB free space. 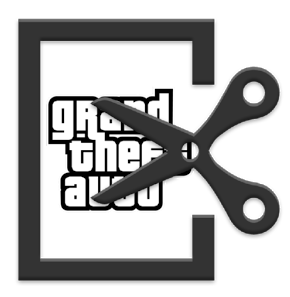 • Now that "gta3.img" file will be extracted easily. • Now you can use IMG TOOL FOR ANDROID app to open that img file, edit it, replace it etc!!! sorry but which file you guys want? Android has no txd files. But the textures which are present inside a txd file are inside folders, which can be opened by txd fucker! Help please !!!!! How can Iinstall skin like bmb.img or import like that because I wanna install assassin's Creed mod please help!!!!!!! Go to skins mod category and learn from there! You have to create folders yourself. It is empty for everyone. If you download a mod move them here, create folders if that mod want..! How do i paste back my gta.img to patch obb folder textdb? How do i change txd files? what you mean by change file? If you want to get textures of txd file then use txd workshop software! Hiii actually I dwonloaded a hulk mod and it comes with 3 files like: .dff .db .txd I replaced the .dff file but what to do for those 2 files where I put them please please rply???? I have replied to your this question in your facebook post. Please read that! Thanks! Create new "files" and "texdb" if does not exist! Did you try porting other mods? did they work? Does the car you ported has no textures? I mean it contain only the ".dff" file? And did you click Rebuild after replacing the dff file in img tool? Help! I followed all the steps above, and before even modding anything, as soon as the "patch" and "main" obb files are renamed to ".obb.zip" at the end, when I try to open the game it goes to the black screen with "downloading resources" which I'm guessing means that it has to download the whole 2.4Gb all over again as obb files. Why the hell can't the game run with those obb files renamed as zip?? rename back to ".obb" and the game will work fine. try using ES FIle Explorer if you are in ANdroid. Else use winrar if your on PC. And open the obb file using one ES File explorer or Winrar. it will open and you will find the files! how to mod gta.img file? plz explain i have downloaded mod file from gta inside.com and now what? where do i put it?